There’s quite a lot happening in September, as far as cancer awareness is concerned, so I thought I would share some of what has caught my attention. That’s great and good (Margot had two of these blood cancers), but unfortunately, in spite of their grand statement: “We’re here for every single person affected by blood cancer. Thanks to our Patient Need research, we are learning more than ever about what blood cancer patients, and their family and friends want and need.” they don’t make any reference to the need of those blood cancer patients for whom the only chance of beating their disease is a bone marrow or stem cell transplant. And they are silent about the urgent need to recruit more people onto the stem cell registers to help make such transplants more likely. Alastair Campbell, who is a big & longstanding Bloodwise supporter, is very supportive of what Team Margot is doing, inviting me to write a guest blog on his website a few weeks ago. 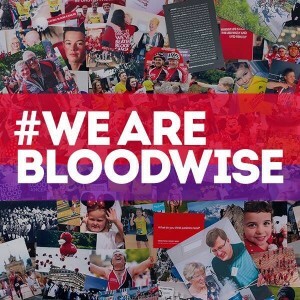 Hopefully, as the UK’s biggest blood cancer charity, Bloodwise themselves will also respond favourably to my recent note to them and start helping to create more awareness around the urgent need for more people to join the stem cell registers as well. 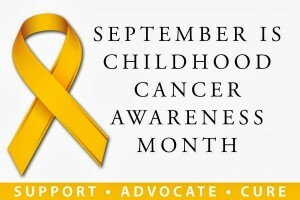 September is childhood cancer awareness month, which is increasingly being supported internationally. The main focus for the UK charity, Children with Cancer UK is to raise awareness of childhood cancer, to get people talking and to generally increase the knowledge and understanding of childhood cancer and the effects this has on children and families. 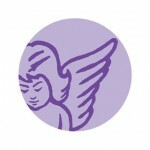 The charity promotes the wearing of gold ribbons and any funds raised go towards cancer research. It was interesting to look at their annual accounts (I’m still on a steep learning curve ! ), which show that in 2014 the charity made various grants to support research aimed at combating various blood cancers, including two grants to Margot’s BMT doctor at Great Ormond Street Hospital, Professor Persis Amrolia, for immunotherapy treatment for CD19 CAR redirected T cells for relapsed Acute Lymphoblastic Leukaemia (ALL) and also the development of an antibody to improve patient outcomes following stem cell transplantation for Acute Myeloid Leukaemia (AML). 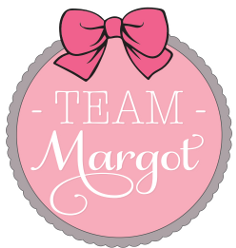 They also made a grant to Shooting Star Chase, which is another charity that Team Margot proudly supports. World Marrow Donor Day is on 19 September and this inaugural day will honour all volunteer unrelated blood stem cell, marrow and cord blood unit donors around the world. 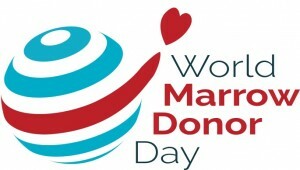 World Marrow Donor Day is more of a ‘trade’ day, appealing to the international stem cell communities of registers and registries, asking them to mark the date in their calendars and engage to make this celebration a success. 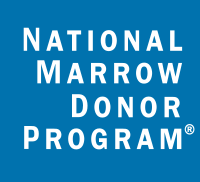 This year the theme of World Marrow Donor Day will be the achievement of 25 million donors being listed as potential volunteer blood stem cell and marrow donors in Bone Marrow Donors Worldwide – a milestone that was surpassed earlier this year. Any form of participation is encouraged. It doesn’t have to be a big or expensive event; small gestures of thanks are just as valuable. Creativity & letting your hearts speak is encouraged. 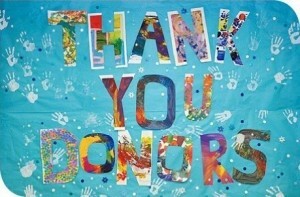 It is hoped that thank you pictures with teams or donors are posted on websites & social media. They also suggest that registries might take this opportunity to improve their inventory by inviting their donors to give a blood sample in order to perform high resolution HLA‐typing. This is something I am personally looking into – I’m a potential donor and whilst I haven’t been asked to donate (this is related to patient need, which I cannot influence), perhaps I can help to improve the quality of information held on the system about me. More on this as I have it.